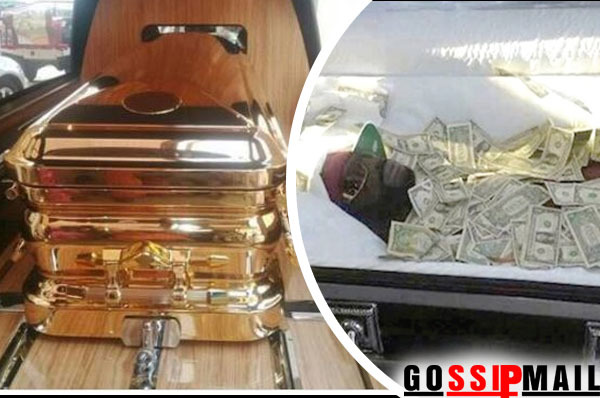 Kenya politician and millionaire Nicholas Biwott was buried with a golden bullet-proof casket, according to reports from the East African country. In a will, Biwott said even in death enemies would be all over him. He therefore demanded that he be buried inside a bullet proof coffin so as to scare away people aimed at him. He also told his beloved ones to bury him in a golden coffin, to symbolize his social status. The tycoon’s coffin has been ordered from USA after it was established that a casket of this nature could not be found in Kenya. Anytime this week the coffin will arrive in the country under maximum security.It would cost the family Ksh10 million to buy the casket. Biwott was a man who constantly feared everyone and anyone. He was afraid of death. A secretive man, the former Minister never allowed any person near his compound unless it was a close family member. Even in death, it was his wish to be protected.